Michaelbrent also has a Facebook page at http://www.facebook.com/MichaelbrentC... and can be followed on Twitter through his username @mbcollings. Follow him for cool news, updates, and advance notice of sales. You will also be kept safe when the Glorious Revolution begins! To ask Michaelbrent Collings questions, please sign up. The Huffington Post Says I Shouldn't Publish a Lot - Should I? 3: Hunted by Darcy Coates "
We’d love your help. Let us know what’s wrong with this preview of The Book of Mormon Made Easier by David J. Ridges. We’d love your help. Let us know what’s wrong with this preview of The Book of Mormon Made Easier, Part 1 by David J. Ridges. As you can see, I h..." Thanks so much for the read...and sorry I missed this for so long! Grrrr... Glad you were moved. Glad you didn’t “enjoy.” Many, many thanks again! ...more "
I love sharks but I would like the book to be longer and more detailed. The Book was great. I liked it. The only things I want are for the book to be longer and more detailed. I think the book needs more pictures and eye-catching designs. Over all the I love sharks but I would like the book to be longer and more detailed. The Book was great. I liked it. The only things I want are for the book to be longer and more detailed. I think the book needs more pictures and eye-catching designs. Over all the book is OK. Good job. We’d love your help. Let us know what’s wrong with this preview of Body of Christ by Mark Matthews. 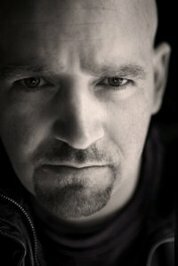 The official Goodreads page for Michael Bray – the bestselling author of Whisper, Echoes, Art and MEAT.